WARSAW, Poland -- Thousands of Polish and other NATO troops have launched major defensive exercises in Poland's north amid security concerns raised by war games recently held by neighboring Russia and Belarus. The Dragon-17 exercise involves some 17,000 land, air force and navy troops and some 3,500 units of equipment and runs through Sept. 29. For the first time the biannual drill is being joined by Poland's new Territorial Defense Forces, which train civilian volunteers to support regular troops. Cybersecurity is also being tested. 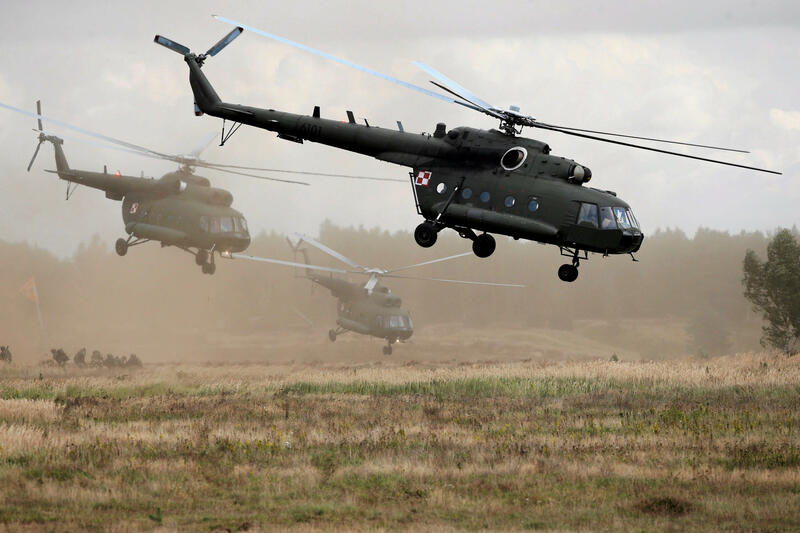 NATO: Russia exercise resembles "preparation for a big war"
On Thursday, Deputy Defense Minister Michal Dworczyk visited the Drawsko Pomorskie test range in northwest Poland, the main site of land drills for Poland's biggest military exercise this year. He said the drills were of defensive nature and contrasted them with the just-ended Zapad (West) 2017 maneuvers. Dworczyk said the joint Russian-Belarusian war games had a "very clear offensive trait." He earlier said the NATO drills now underway test defensive operation between Polish troops and those deployed in Poland by NATO and by the U.S. in response to the region's concerns over Russia's military activity. The scenario for the exercise sees the troops reacting to "attempt at taking control of a disputed territory though hybrid actions," Dworczyk has said, noting it was inspired by Russia's 2014 annexation of Crimea. Other participating nations are NATO members Lithuania, Latvia, Germany, Britain, Slovakia, Italy, Bulgaria, Romania, as well as partner nations Georgia and Ukraine. Dworczyk also noted that security experts in Poland and in the region are concerned that Russia may leave some military units in Belarus following the Zapad (West) 2017 maneuvers, which wrapped up Wednesday. Gen. Petr Pavel, the head of NATO's military committee, says the war games could be seen as "a serious preparation for a big war," despite Russian assurances they pose no threat. Russia last week accused the West of "whipping up hysteria" over the exercises. "We reject complaints of these exercises not being transparent," Kremlin spokesman Dmitry Peskov told a conference call with reporters on Thursday, according to Reuters. "We believe that whipping up hysteria around these exercises is a provocation." CBS News' Elizabeth Palmer reported from St. Petersburg, Russia, that the exercises were as much a work-out as a spectacle. NATO members, including the Baltic states and Poland, have suggested the number of troops was higher than the declared 12,700 and have questioned Moscow's intentions in holding such major war games.